We have 3 bedrooms sleeping 5. The double bedded room with original Victorian furniture overlooks the sea – nothing better than falling asleep listening to the sound of the waves on the shore! 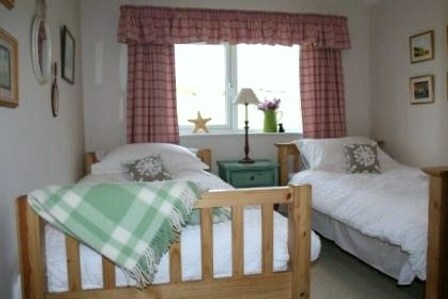 The twin bedded room and the single room at the rear of the cottage have open views of the National Trust’s lush green countryside. 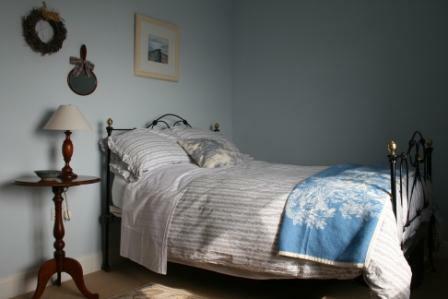 Fishermans can sleep a further 3 people if required with a double sofa bed with sprung mattress in the lounge and truckle bed, again with sprung mattress in the single room. A cot and high chair are also available on request. The first floor bathroom has a deep double ended bath for those long holiday soaks – bubble bath and candles included and there is an endless and instant supply of hot water. There is also a separate shower.